Since 1958, when John W. Armiger Sr. founded Dulaney Valley, the cemetery has been privately owned and operated. In 2007, the John O. Mitchell family, owners of the Mitchell-Wiedefeld Funeral Home, Inc. in Rogers Forge, purchased the cemetery and pledged to continue offering premium, high-quality facilities that provide sensitive and caring support for families in the greater Baltimore area. Our professional and compassionate staff provides comfort and assistance to families in times of need. The cemetery offers property and merchandise including lots, lawn crypts, family and community mausoleum crypts, niches and cremation merchandise such as benches and boulders. 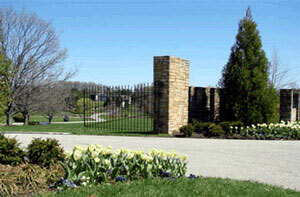 Dulaney Valley Memorial Gardens is dedicated to caring for your family and preserving the heritage of our community. John W. Armiger Sr. founded Dulaney Valley Memorial Gardens. Dulaney Valley dedicated the new administrative facility located across from the cemetery. Dedicated and reserved for Marylanders killed in action. The first Memorial Day ceremony is held in the Circle of Immortals. The first Fallen Heroes Day ceremony is held in the Fallen Heroes Garden. The John O. Mitchell family, owners of the Mitchell-Wiedefeld Funeral Home, Inc. in Rogers Forge, purchased the cemetery.